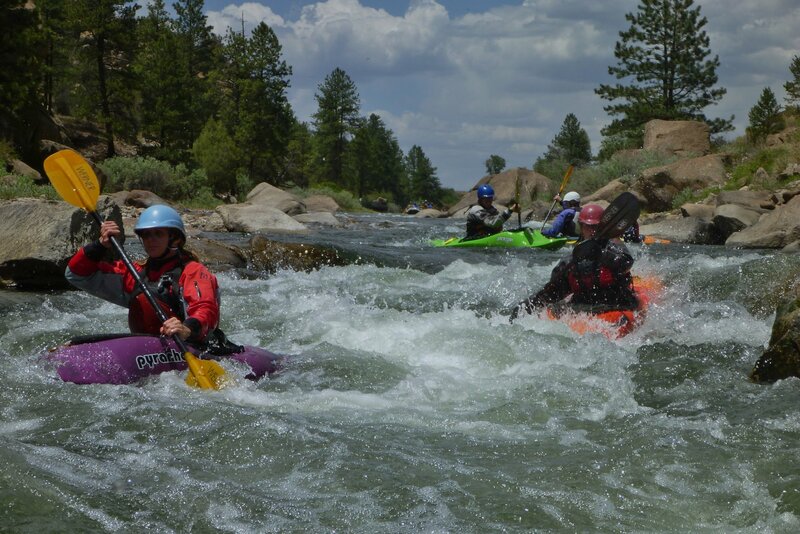 For those interested in meeting up with other paddlers, Colorado Whitewater offers free river cruises arranged by volunteer trip coordinators. These trips allow you to step it up and try a new section of river with the support of experienced lead and sweeps who know that section. Or if you have a favorite run, then simply come along and have fun with a group of boaters! The trips are not a teaching or training exercise, and members who participate are responsible for their own conduct and safety. Learn more about leading or participating on a cruise. Please contact the cruise leader directly to sign up for the cruise and find out the logistics for the trip. Particularly for Class III and above sections of river, the cruise leader may ask you about your paddling experience to make sure that they feel comfortable leading you on the trip. BECOME A CRUISE LEADER OR SWEEP: We are always looking for experienced boaters to lead or sweep a trip. Contact Ruth Eipper to add your River Cruise to the schedule.